No joy yesterday with the free tips, but there is a reason most of Monday’s greyhound racing is Tier 3 grade; and there is a reason those dogs are in that grade. New day and new opportuniites. Dakota Grace has won 13 of 34, and had put three wins together before just being collared by Long Gully Ella late last start. 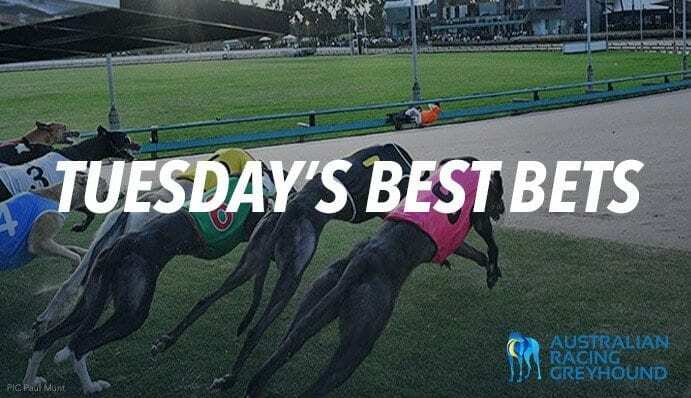 The two face up again today, but Dakota Grace should have the early pace to offset the box 4 draw, while Long Gully Ella moves to box six which she has never won from in five starts. Bet365 are the only corp with prices up despite the fact the race is only a little over three hours away, and they have Dakota Grace at $3.50 while we had her priced $2.51. Emio Bale can be very disappointing but has won nine from 79, and does move to her favourite winning box here a Geelong today. Should just have enough pace to hold the inside and prevail, with the main dangers being Scott Dynamism and Why Not Archie. Sportsbet have gone up $6.50 about Emio Bale which given we have rated her a $2.43 chance represents a strong value bet. Given her record we’ll have our 10 units each way at a price.